The concept of holistic health has embedded itself in the public consciousness and made people aware that the concept and reality of wellness more than meet the eye. While Western medicine will be the preferred choice of many who are assured of the measurable results that lab tests, hospitals and health centers, and research-driven pharmaceutical pills provide, not a few are subscribing to the Eastern concept that one’s physical condition is only a reflection of his inner state. If a person enjoys joy, satisfaction, and appreciation constantly in their daily lives, then their susceptibility to illness decreases. On the other hand, a negative, pessimistic person who always sees the bad side of any situation will tend to subject themselves to unnecessary stress; as a result, their own immune system will weaken and they will find himself developing interrelated medical conditions like high blood pressure, depression, and insomnia. It is said that Western medicine focuses on the science of healing and uses sensors, bio scans, x-rays, and other equipment to determine the cause of illness in a person’s body. It would almost often zero in on an ill-functioning organ such as a kidney or a liver, or a physiological process that is not functioning smoothly, such as the excess production of insulin. Meanwhile, Eastern medicine is rooted more in naturopathy and a more in-depth understanding of the psyche and emotional states of a human being. It upholds that an intangible, invisible, and yet powerful energy runs parallel through a person’s mind, heart, and spirit. If this energy is blocked by one’s negative emotional state, then that particular place in the body where it happens succumbs to illness. Some Oriental physicians also believe that unless the energies in that specific organ are treated first, then the all-too-real medicines that the patient ingests will have very little effect. The California-based Longevity Eastern Medicine (LEM) has been attracting a considerable following in recent years because its methodology incorporates the best of both Western and Eastern practices. Its founder and lead physician, Dr. Mia Hanh Nguyen, first obtained a license as an aesthetician who understood and facilitated the management of physical pain in the body. The good doctor, who grew up in California, said she made that choice before entering Chinese Oriental Medicine school because she was keen on developing a more holistic approach: the body, energies, and emotional state of the patient all had to be studied, examined, and treated. “I am a lifelong student who is fascinated by various healing modalities that include both Western and Eastern medicine, allopathic (when necessary) and functional medicine, along with various alternative healthcare modalities. I am always striving to further my education so as to better help my patients and better myself,” she adds. 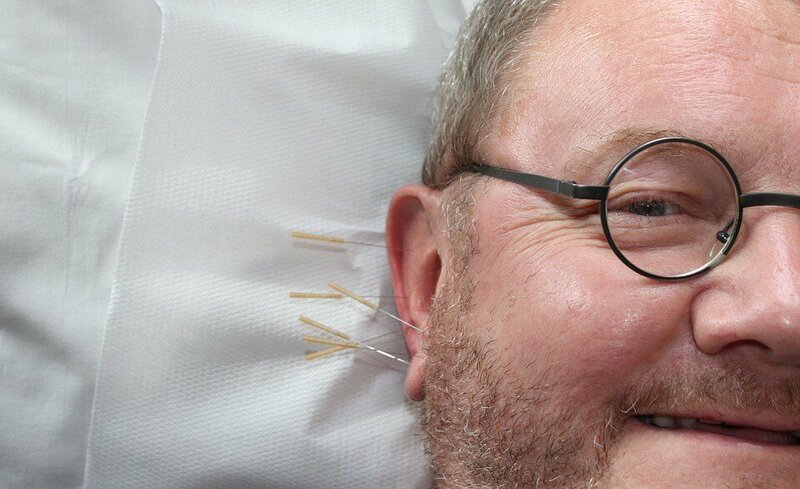 Constitutional facial acupuncture is one of LEM’s more in-demand services and is emerging as a crowd-drawer. It inserts needles into affected facial muscles to remove the negative energies that can have been produced by stress and in return can cause conditions like acne. At the same time, the patient’s emotional state like depression, constant sadness, frustration, and emotional instability is addressed. Meanwhile, on a physiological level, the needles trigger the production of collagen, the bodily substance which is responsible for keeping the skin young and protects it from the onslaught and effects of aging. The sagging skin firms up and regains luster and sheen, giving the wearer a whole new glow. New skin cells that replace the dead ones also bond together, enhancing the face’s attractive features while relaxing its muscles. Dr. Nguyen’s method of acupuncture goes deeper than what is popularly known as cosmetic acupuncture, which focuses primarily on treating the ravages of aging. Instead, her constitutional facial acupuncture is more holistic and evaluates the person’s overall being. It assesses lifestyle habits that may not be conducive to health. It also considers the patient’s other medical conditions such as back pains and aching joints. As a result, the patient who emerges from a constitutional facial acupuncture procedure has a stronger and more resilient physiological system. Aside from constitutional facial acupuncture, LEM also offers those who want to restore their youth and health a few other treatments that had been developed and preserved for centuries in China. These include E-stim, which applies a gentle, pulsating electrical current to acupuncture needles to stimulate energy; cupping, which specifically focuses on removing wrinkles; and gua sha, which massages the face to improve blood circulation.